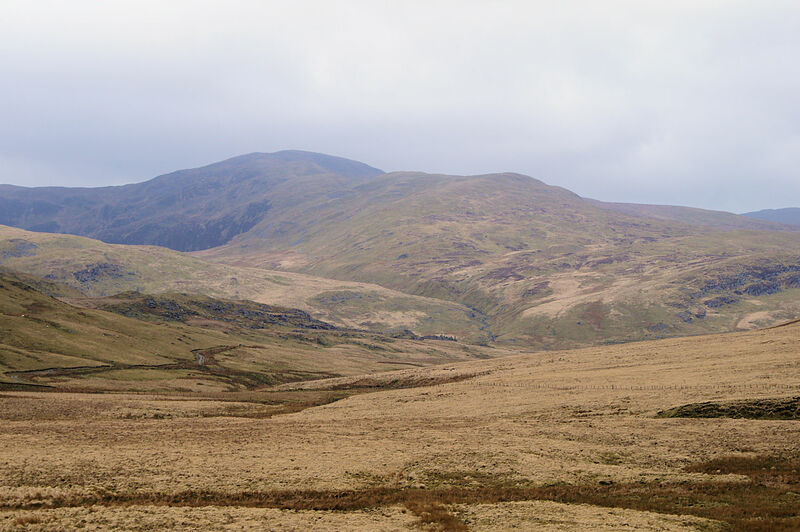 The Walk: This is the easiest several route options to reach the highest point in Cardiganshire and it has the advantage of being a circular walk. Park near Eisteddfa Gurig Farm, 5 miles east of Ponterwyd on the A44. If you cannot park safely beside the road you may park in the farm though there is a charge for parking there. Once walking the route is via a west course from Eisteddfa Gurig Farm to disused mine workings at Yr Ochrydd and further to a fence line beside a plantation. Turn north on a good track beside the plantation and continue north all the way past the end of the plantation and over open high ground to the summit. Return by following a track south south-east to more disused mine workings beside Afon Tarennig which leads you downstream on a path parallel to the young river back to the start. The Walk I Would Do: The walk described above is the one I would do but if I had the time I would extend it to explore the mountain further. I would certainly seek out the sources of the River Severn (grid reference: SN821899), River Wye (grid reference: SN802871) and River Rheidol (grid reference: SN797873).